United Nations Statistics Division (UNSD) in cooperation with the Eastern Mediterranean Regional Office of the World Health Organization (WHO-EMRO) is organizing a Workshop on the Operation of Civil Registration, Vital Statistics and Identity Management Systems and the Production of Vital Statistics Reports for the Eastern Mediterranean Region Countries (Group2) . The workshop will take place in Tunis, Tunisia, from 26 to 30 March 2018 and will be conducted in English with Arabic interpretation. The workshop aims to increase the knowledge and skills of participating statisticians, civil registration officials, identity management officials and health officials in implementing the Principles and Recommendations for a Vital Statistics System, Revision 3 and the revised Handbook on civil registration and vital statistics systems: management, operation and maintenance as well as to give participants hands-on technical support to produce vital statistics reports from civil registration records and improve their capacity to identify obstacles and challenges for achieving complete coverage of their systems. United Nations Statistics Division (UNSD) in cooperation with the Eastern Mediterranean Regional Office of the World Health Organization (WHO-EMRO) is organizing a Workshop on the Operation of Civil Registration, Vital Statistics and Identity Management Systems and the Production of Vital Statistics Reports for the Eastern Mediterranean Region Countries (Group1). The workshop will take place in Casablanca, Morocco, from 19 to 23 March 2018 and will be conducted in English with Arabic interpretation. The United Nations Statistics Division (UNSD) organizing a Workshop on the Operation of Civil Registration, Vital Statistics and Identity Management Systems for East Asian Countries. The workshop will be conducted from 13 to 17 November 2017 in Hanoi, Vietnam. This workshop is intended to go in depth into the issues of implementing the Principles and Recommendations for a Vital Statistics System, Revision 3, promulgated in 2014. With the view of strengthening technical capacity, the workshop will increase the knowledge of statisticians, civil registration and/or identity management officials and health officials about the revised Handbook on civil registration and vital statistics systems: management, operation and maintenance; and improve their capability in identifying obstacles and challenges for achieving complete coverage of their systems. The United Nations Statistics Division (UNSD), in cooperation with the United Nations Fund for Children (UNICEF), is organizing a Workshop on the Operation of Civil Registration, Vital Statistics and Identity Management Systems for South American Countries. The workshop will take place in Bogota, Colombia, from 30 October to 3 November 2017 and will be conducted in English with interpretation in Spanish. The Technical Seminar on Legal Framework for Civil Registration, Vital Statistics and Identity Management Systems will be held on 17-19 July 2017 at the Multi-Function Hall 2 of the Asian Development Bank Headquarters (ADB HQ) located at 6 ADB Avenue, Ortigas Center, Mandaluyong City, Metro Manila, Philippines. The UN Statistics Division/DESA and the IUSSP Panel on Innovations in Strengthening CRVS Systems are organising these two events with the aim of showcasing recent methodological developments, and of fostering an exchange of regional experiences on how to best assess the completeness and accuracy of birth and death statistics, which are key indicators of CRVS system performance. A well-functioning civil registration system with information on births and deaths is a key source of data for vital statistics. Registration also helps to ensure the realization of human rights and to have access to benefits and protections of the state. In the 2030 development agenda, the need for accurate and timely vital statistics has been reaffirmed. Goal 16 of the Sustainable Development Goals (SDGs) recognizes a direct link between civil registration and vital statistics (CRVS) systems, legal identity and sustainable development. Moreover, the indicators selected to monitor progress of goal 17 include the proportion of countries that have achieved 100 per cent birth registration and 80 per cent death registration by 2030. The side meeting will bring together regional specialists and experts involved with the development and/or the application of direct methods, especially through the use of record linkage validation for assessing the completeness and accuracy of births and deaths records based on data from civil registration and other administrative and health sources, at national or local levels. Complementary to this, there will be a round table entitled “CRVS assessment from the academic perspective” within the conference regular programme. Register for the side meeting and learn more about these activities. The United Nations Statistics Division, in cooperation with the Secretariat of the Pacific Community is conducting a seminar titled “Civil Registration and Vital Statistics in the Pacific Islands: Standards, Best Practice and Lessons Learnt”. Taking into consideration the particularity of the countries in the Pacific region, this event is combining the standard UNSD workshop curriculum for training in the revised Principles and Recommendations for a Vital Statistics System and the regional programmes and activities under the Brisbane Accord Group programme of work (for details see: http://www.uq.edu.au/hishub/brisbane-accord-group). The seminar will bring together civil registrars, vital statisticians and health officers from around twenty countries and territories in the Pacific region as well as contributions from UNICEF, WHO and ESCAP. The event will take place from 22-25 February in the headquarters of the Secretariat of the Pacific Community, in Noumea, New Caledonia. The United Nations Statistics Division is conducting the United Nations Workshop on the Principles and Recommendations for a Vital Statistics System, Revision 3, for Caribbean Countries, to be held in Port of Spain, Trinidad and Tobago, from 1 to 4 December 2015. This is the first opportunity for Caribbean national statistical authorities to learn about the latest version of these major methodological guidelines and standards, issued last year. In addition, the workshop will bring together civil registrars and statisticians, thus offering an opportunity for establishing a much closer cooperation at the national level. The workshop is conducted in collaboration with OAS, CARRICOM and Regional ECLAC Office. The previous workshop on the same topic was conducted in 2005, thus providing an opportunity to assess the progress made in improving civil registration and vital statistics along the line of international standards in the ten year period for the fifteen participating Caribbean countries. 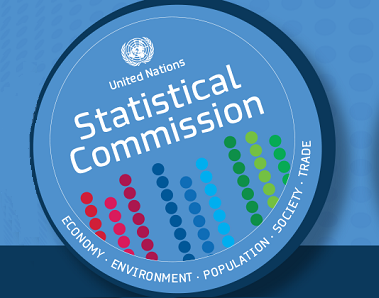 The United Nations Statistics Division, in coordination with ECLAC, is conducting the Workshop on the Principles and Recommendations for a Vital Statistics System, Revision 3, for South American Countries, from 9-12 November 2015, Santiago, Chile. This workshop contributes to the initiatives at the global and regional levels to accelerate improvement of civil registration and vital statistics systems. With the view of strengthening technical capacity to contribute to the efforts in improving civil registration and vital statistics systems, the workshop aims to increase the knowledge of government statisticians and civil registration officers about the revised international principles and recommendations for compiling, processing and disseminating vital statistics; and to improve their capability in identifying gaps and challenges in applying international standards to improve their civil registration and vital statistics systems. The workshop will bring together civil registrars and vital statisticians from twelve South American Countries. The United Nations Statistics Division is conducting the Sub-regional Workshop on Applying Principles and Recommendations for a Vital Statistics System for Implementing the Regional Action Framework for Civil registration and Vital Statistics in Asia, from 15-18 September 2015 in Istanbul, Turkey targeting countries in Central Asian region This workshop is organised in cooperation with the Turkish Statistical Institute (TurkStat), the Organization for Security and Cooperation in Europe (OSCE), and UNESCAP with the contribution from WHO. The purpose of the workshop is to present the revised international statistical standards for civil registration and vital statistics and put them in context of the regional initiatives for improving these systems in Asia and the Pacific; provide an opportunity for participating statisticians and civil registrars to exchange national practices and establish channels for exchanging experiences in the regional settings; and present good practical from countries in the sub-region. Within the framework of the International Programme for Accelerating the Improvement of Vital Statistics and Civil Registration Systems, the United Nations Statistics Division (UNSD), in collaboration with the United Nations Economic Commission for Africa (UN-ECA), is organising a Workshop on the Principles and Recommendations for a Vital Statistics System, Rev. 3, for English-speaking African countries. The workshop will be hosted by UN-ECA in Addis Ababa, Ethiopia from 2 to 5 December, 2014. The main purpose of the workshop is to provide guidance to countries on the implementation of the new revision of the United Nations recommendations for the collection and compilation of vital statistics at national level through civil registration and other sources such as population censuses, sample surveys, population registers, and health records, at the same time providing full overview of contemporary international statistical standards and requirements. At the same time, it will offer an opportunity to statisticians, on one side, and civil registrars, on the other, to directly interact and exchange experiences and practices using national civil registration and vital statistics systems as a framework. The United Nations Statistics Division (UNSD), in collaboration with the Statistical Institute for Asia and the Pacific (SIAP), a regional institution of the UNESCAP, and Statistics Korea, the national statistical authority of the Republic of Korea is organizing the Third Regional Workshop on Production and Use of Vital Statistics: Applying Tools and Materials Available to Improve Vital Statistics. The regional workshop will be conducted from 26 to 30 May 2014 in Daejeon, Republic of Korea. With the view to strengthen technical capacity to contribute to the efforts in improving civil registration and vital statistics systems, the workshop aims to increase the knowledge of government statisticians and civil registration officials about the revised international principles and recommendations for compiling, processing and disseminating vital statistics; and improve their capability in identifying gaps and challenges in applying international standards to improve their vital statistics system. The participants of the workshop consist of one statistician and one civil registrar from 14 Asian countries. Within the framework of the project “Strengthening statistical capacity-building in support of progress towards the Internationally Agreed Development Goals in the Southern African Development Community (SADC) region”, the United Nations Statistics Division (UNSD), in collaboration with the Southern African Development Community (SADC), is organizing a Workshop on the Improvement of Civil Registration and Vital Statistics. The workshop will be hosted by the National Statistical Office of Malawi in Blantyre, Malawi from 1 to 5 December, 2008. The purpose of the workshop is to: (a) provide training to SADC countries on the implementation of the United Nations guidelines and international standards on civil registration and vital statistics in terms of concepts, definitions, data collection methods and compilation; (b) assess the current status of the civil registration and vital statistics system in SADC countries and identify gaps to be filled; and (c) review national capacities to produce and provide national vital statistics to UNSD through the Demographic Yearbook questionnaire. The workshop places a special emphasis on assessing the functioning and efficiency of the exchange of information between data sources (civil registration) and producers (national statistical authorities) of vital statistics. The purpose of this workshop is to review procedures for obtaining fertility and mortality statistics by maximizing the use of multiple data sources and propose strategies for improving civil registration in the region. The workshop will also review national approaches to the collection of disability statistics. In addition, the meeting will explore ways of increasing the utilization of fertility, mortality and disability statistics at national and international levels. In this regard, the Demographic Yearbook system of collection and dissemination of these statistics will be considered. The African Workshop on Strategies for Accelerating 'the Implementation of Civil Registration and vi tal statistics Systems is the fourth of the series. It is jointly organized by UNSTAT and the Economic Commission for Africa. The main purposes of the Workshop were: (a) to discuss ways and means of promoting the awareness of national vital statistics and civil registration systems in each participating country; (b) to assess the adequacy of national registration and vi tal statistics processes, coverage and reliability: and (cl to, suggest strategies for the, improvement of vital statistics and civil registration systems in the participating countries. In order to encourage and assist countries to carry out improvements in their civil registration and vital statistics systems, an International Programme for Accelerating the Improvement of vital statistics and civil Registration Systems was developed jointly by the united Nations statistical Division, the United Nations Population Fund, the World Health Organization and the International Institute for Vital Registration and statistics. The Programme was endorsed by the united Nations statistical Commission at its Twenty-sixth session held in New York in February 1991. The Western Asia Workshop on strategies for Accelerating the Improvement of Civil Registration and Vital Statistics Systems is the second of a series and was carried out in Damascus, Syrian Arab Republic from 20 to 24 June 1993. It was organized by the United Nations Statistical Division (UNSTAT) in close cooperation and collaboration with the united Nations Economic and Social Commission for Western Asia (ESCWA). The United Nations Population Fund provided financial support for the workshop which was supplemented by funds from ESCWA. The workshop was hosted by the Government of the Syrian Arab Republic under the auspices of the Prime Minister's Office. The Central Bureau of statistics and the Ministry of Interior of Syria have assumed the responsibility jointly with UNSTAT and ESCWA for the implementation of the workshop. The main objectives of the western Asia Workshop were: (a) To assess the adequacy of national civil registration and vital statistics processes coverage and reliability ; (b) To suggest strategies for the improvement of civil registration and vital statist.ics in the participating countries; (c) To discuss ways and means of promoting the awareness of national civil registration and vital statistics systems in each participating country. To that end, the workshop discussed the following: (a) Current status of the national civil registration and vital statistics systems in each participating country, including the existing technical facilities, resources and the problems encountered to operate these systems on a daily basis. (b) The role of vital statistics and civil registration systems in participating countries for various uses and applications; (c) strategies for solving the problems of the systems on a one by one approach in order to promote their development and improvement, bearing in mind the availability of modern technology; (d) The elements required for a national programme of activities, in the short and medium term, for subnational improvement of the system, with the priority objective of increasing the coverage in the registration of vital events. (e) The forms of technical cooperation between international, regional and non governmental agencies in support of the national plan of action to improve the systems. The United Narions Statistical Commission, at its twenty-sixth session (4-13 February 1991), welcomed and gave its full support to the International Programme for Acceleating the Improvement of Vital Statistics and Civil Registration Systems, prepared jointly by the United Nations Statistical Office, the World Health Organization, the United Nations population Fund and the International Institute for Vital Registration and Statistics. Among other activities proposed in the Programme, the Statistical Commission approved the suggestion that specialized workshops should be conducted in Latin America, Africa and other regions, under its auspices, and urged the United Nations Statistical Office and the other agencies sponsoring the Programme to implement those workshops as soon as possible. The main objectives of the Workshop were: (i) to discuss ways and means for promoting the knowledge of vital-statistics and civil-registration systems in the invited countries; (ii) to evaluate the present situation of the systems i n each country, including the adaptation of registration procedures and ~he stages of processing of the statistics obtained; and (iii) to suggest the maln components of the national plans of action for the improvement of the systems ln the participating countries. To that end, the Workshop discussed the following: (a) Diagnosis of the national vital-statistics and civil-registration systems in each country, including technical facilities, resources and the problems encountered in actions designed to improve the systems; (b) The role of the vital-statistics and civil-registrations systems in each country for various uses and application; (c) strategies for solving the problems of the systems in order to promote their development , bearing in mind the availability of modern technology; (d) The elements required for a national programme of activities, in the short and medium term, for substantial improvement of the system, with the priority objective of increasing the coverage in the registration of vital facts; (e) The forms of technical cooperation between international, regional and non-governmental agencies in support of the national plans of action for improving the systems.